"CURIOUS GEORGE IS AN APE NOT A MONKEY!!!!" my friend Cara fiercely proclaimed in a Facebook status update last week, setting off a discussion in the comments section about the connotations and denotations of "monkey" and "ape" in a variety of languages. My four-year-old has watched a couple of the Curious George cartoons on PBS (which are far lamer than the books and than the 1980s cartoon series), so this question had been nagging at the back of my mind too. The simple way I teach the semantic difference in my Intro to Biological Anthropology course is: Monkeys almost always have tails. Apes never have tails. Additionally, apes are only found in the Old World, whereas monkeys can be either Old World or New World in origin. 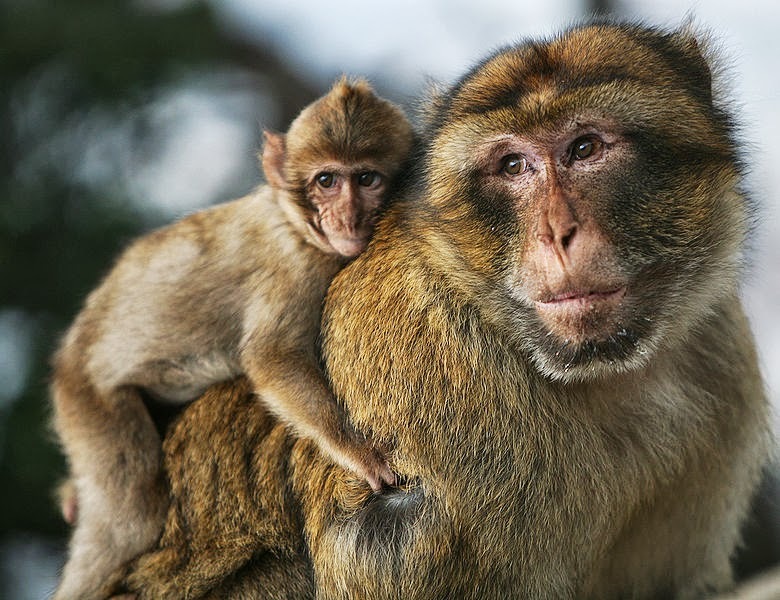 Seems pretty simple and straightforward -- save the Barbary macaque, which I believe is the only monkey to lack a tail -- but the taxonomic history of the term "monkey" is a little more complicated. Barbary macaque father and infant. Let's start with the vocabulary we use now. Current scientific nomenclature separates the order Primates into prosimians (those monkey-like primates such as lemurs and lorises) and anthropoids (monkeys, apes, and humans). Within the anthropoids, there are New World monkeys (Ceboidea), Old World monkeys (Cercopithecidae), and apes and humans (Hominoidea). Living New World monkeys all have tails. Old World monkeys, except the Barbary macaque, also have tails. 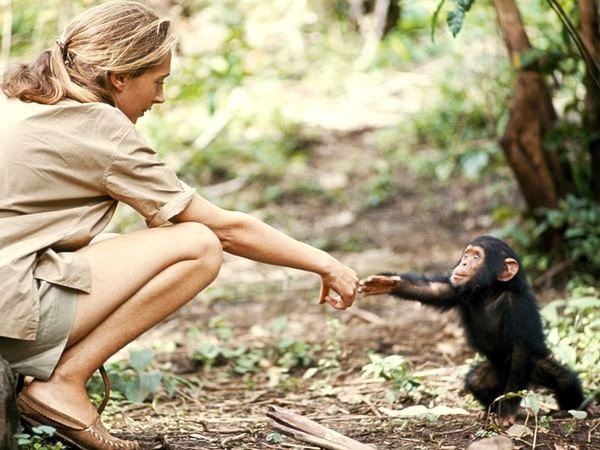 Apes (gibbons, siamangs, gorillas, chimps, and orangutans) lack tails, as do humans. This is an important distinction because, as depicted, Curious George has no tail, suggesting he is an ape or possibly a Barbary macaque. Original cover from the 1941 book. So, back to our hero. Curious George was born in 1939, as a secondary character named Fifi, in the story Cecily G. and the Nine Monkeys by Margret and H.A. Rey. The book originally came out in French as Rafi et les Neuf Singes, even though the Reys were German and had just moved to Paris from Brazil. (The Reys' story is a particularly fascinating one, as they were both German-born Jews but Brazilian citizens, which helped them escape the Nazis in the 1940s -- they bicycled out of Paris as German planes flew overhead, taking only the clothes on their backs and five children's book manuscripts with them.) Cecily the giraffe and the monkeys live in a jungle and are trying to escape poachers. Presumably, this story takes place in the jungles of Brazil, which the Reys were most familiar with; they had even adopted two marmosets as pets. (The marmosets, unfortunately, died during their transatlantic voyage to Paris.) In 1941, the Reys were encouraged to create a book with Fifi as the protagonist. The primate was renamed Curious George, who lives in a jungle in Africa. He is caught when a man puts down his big yellow hat and George comes down from a tree to look at it. The Man with the Yellow Hat (supposedly modeled on Adlai Stevenson) takes George on a ship and drops him off at a zoo. In later books, George escapes from the zoo and eventually lives with the Man with the Yellow Hat, having all kinds of adventures. the genera Homo and Simia under the order Primates. At the time Curious George was created, the term "monkey" was common in general use to describe any number of primates. (Arguably, it still is today.) 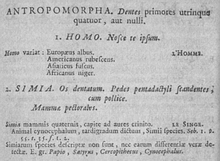 The original scientific classification system, created by Carl Linnaeus, includes four genera under the order Primates: Homo (humans), Simia (monkeys and apes), Lemur (lemurs and colugos), and Vespertilio (bats). In the middle of the 18th century, then, there was no scientific distinction at the superfamily level between apes and monkeys as there is today. (And, uh, clearly bats are not primates. Way to go, Linnaeus.) It wasn't until 1929 that the International Commission on Zoological Nomenclature recommended no longer using the taxon Simia because it is "paraphyletic" (meaning: a confusing, catch-all term). The genus Simia is still in use, though, most notably for the Barbary macaque. When the Reys wrote Rafi et les Neuf Singes in 1939, then, the French term singes still likely meant "monkey and/or ape," even to relatively educated people. Unfortunately, this detour into taxonomic history doesn't really tell us whether Curious George is a monkey or an ape. To be sure, we'd have to pose this rather anachronistic question to the Reys, both now deceased. In order to reconcile George as a monkey in today's scientific parlance, he would have to be a Barbary macaque. However, this species does not look particularly like the way George is illustrated, and it also tends to live in mountainous regions of northern Africa, not jungles. Given the details of the original Curious George book -- his living in trees in Africa, his lack of a tail, his coloring and depiction, his opposable big toes, and his inquisitive nature -- I like to think of him as a juvenile chimpanzee. So I hold that Curious George is an ape, but I'll give the Reys a pass on using the catch-all term "monkey" because it would have been easily understood in the time and place they originally wrote the story of this adorable but troublemaking primate. Aww. I think the recent PBS Curious George series is really quite good! I think that George's acclimation to bipedalism and fully-rotating shoulders instantly disqualify him as a monkey. They are not the only monkey lacking a tail though. The stump-tail macaque is another monkey that is often thought of as the model behind Curious George. Sorry, but your friend on Facebook seems to have a "no it all" attitude. Maybe they should do more research before making such a proclamation. "Sorry, but your friend on Facebook seems to have a "no it all" attitude. Maybe they should do more research before making such a proclamation." No, YOU are the annoying no it all [sic] here. George is an ape and not a monkey, and I will keep referring to him as such to my kids as I read them these wonderful bedtime stories. 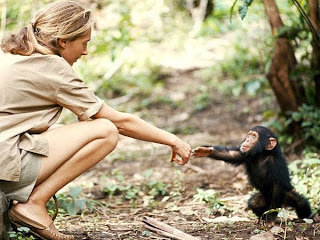 According to the Reys, Curious George (written in German as Coco, which was deemed not to be a fitting name for a male monkey by George´s American publisher) was a "Schimpanse", a chimpanzee. Since both apes and monkeys are "Affen" (plural, singular is "Affe") in German, the Hamburg-born Reys called him an Affe. Schimpansen are the hominid species of apes, so George is an Ape. And since the hominid species of apes are referred to as Menschenaffen - rarely used in the 30s and 40s - that´s what the Reys would probably call George today. According to the current PBS series, his name is 'Ted'. And on the current series he is referred to as a monkey, further complicating the issue. It was my 5 year old Grandson who informed me that George was not a monkey "because he doesn't have a tail". He said he was a gorilla. I guess it's true that you are never too old to learn something new. FYI, in regards to your passing remark about bats not being primates, you may not be aware of this, but there is some debate over whether megabats (flying foxes and close relatives) are closely related to primates. My impression is that the general opinion may be leaning toward yes. Though no one is having this discussion about microbats (insectivores and vampire bats). Just thought you might be interested. My friend believes George to be a monkey and refuses to accept that George never had tail. He believes that some unknown authority (think conspiracy theory) has changed all references of George into a tail less version for some diabolical unknown reason. He also believed Cris Reeve, of Superman fame,is really Chris Reeves. And, also, that Looney Tunes is Loony Toons. And all, and more, have been changed by those "Really in charge." Oh well, I never really thought about it, or cared. Just thought George was a great childhood memory. Question: aren’t Macaques from Asia? Wouldn’t that definitely counteract the argument that George is a monkey? I just had the same realization and luckily google gave me your researched post! One other idea I had as I read your page was that George was an Old World monkey amputee whose species normally has tails but George lacks one by genetics or accident. But the German explanation in the comments makes sense if we can verify it. I learned this about Curious George a few years ago from my 4 year old daughter. I was talking to a friend of mine about Curious George one day and I kept referring to him as a monkey; My daughter politely said mami Curious George is not a monkey he's an Ape. Huh? My friend and I looked at each other and asked her how do you know this? She then told us what the difference between the two were and how he was in fact a chip, not a monkey. She said it with such certainty. I will forever remember that moment.